What is a Whiplash Injury? - Piedmont Physical Medicine & Rehabilitation, P.A. Any motor vehicle accident can cause a whiplash injury, but they are most common in rear-end accidents. About 10-20 percent of the occupants of a vehicle in a rear-end car collision suffer from whiplash injury. This injury is defined as a non-contact acceleration-deceleration injury to the head-neck system. There is no direct impact on the neck with a whiplash injury as it results from sudden extension and flexion of the neck. In other words, a force snaps the head forward and backward. It can injure intervertebral joints, disks, ligaments, cervical muscles or even nerve roots. Experts estimate that over 1,000,000 people are exposed to whiplash injury in the U.S. every year. 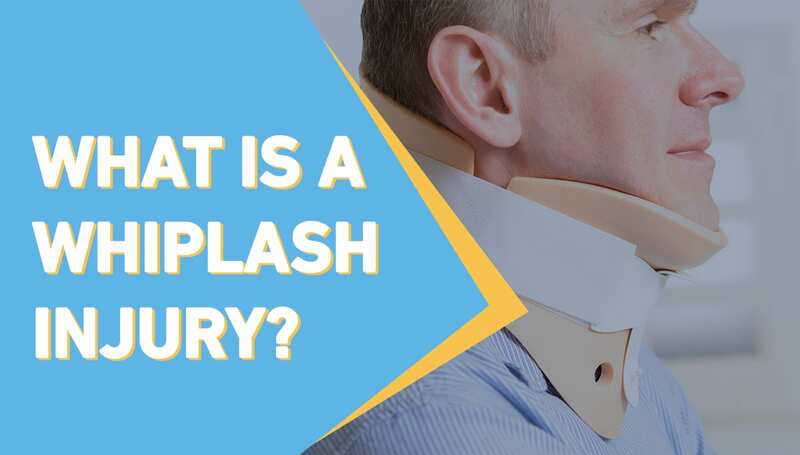 While auto accidents are most often the cause, whiplash can also be the result of violence, especially domestic violence, trauma at work and even amusement park rides. Approximately 25 percent of these cases result in chronic pain and disability. One in seven whiplash patients still has significant pain after more than 3 years; the average is 8 years. Many times, severe whiplash can be detected immediately after an accident. More commonly, it may take several days until full awareness of the extent of injury is evident. This is due in part to the bleeding and formation of scar tissue that occurs around the injured area. If the tissues do not heal properly on their own, persistent muscle, ligament, nerve, and arthritic pain can occur. Because you may not feel pain immediately after an accident, we always advise that you see a doctor afterwards – regardless of whether you do or do not feel pain. The most obvious symptoms of whiplash — even mild cases — are neck and shoulder pain. Other symptoms include headaches, blurred vision, dizziness, stiffness, nausea, numbness and tingling in the arms/hands, weakness, swelling, and back or chest pain. In these instances, the injury is more likely to lead to persistent symptoms and may involve more than just a simple strain or sprain. When someone feels neck pain after a flexion-extension injury — whether at the accident scene or hours or days later — it is best to go to a doctor who specializes in musculoskeletal pain disorders and get an opinion as to the severity of the condition. Sometimes a simple physical examination is all that is needed, while in other cases more testing is required. X-rays determine if there are fractures of the vertebrae or whether the alignment of the neck has been altered. In most cases, conservative care for the first several weeks is usually all that is needed. Muscle relaxers, anti-inflammatory medicines, ice, stretching, chiropractic or physical therapy frequently help. In more severe cases, further diagnostic testing is required to evaluate if structures other than muscle are involved. Useful tests include electrodiagnostics (to detect nerve damage), musculoskeletal ultrasound (to localize weak, torn, or stretched ligaments), advanced imaging such as MRI to look for surgical injuries, and even thermographic studies under cold stress to look for more specialized nerve pathology. The course of treatment will vary depending upon which injured structures (ligament, nerve, disk, etc.) are involved. There are several treatment options available, the majority of which do not require a surgical approach and can be very successful in resolving chronic whiplash pain. Examples include trigger point injection s to loosen muscle, prolotherapy (injections to regrow torn or stretched ligament), and regenerative medicine techniques such as Platelet Rich Plasma (PRP) or Stem Cell to repair injured tissue. Of course there are more options as well; many more. If you’ve recently been in an accident, or have been suffering from a whiplash injury for a while now, contact us now so that you can get on the road to recovery. Contact Piedmont PMR here or call us at 1-864-235-1834.